The Victoria & Albert Museum in London is one of my favorite museums in the world! I visited the landmark in December 2012 while staying at The Ampersand, which was just a short walk away. I was able to take in the Hollywood Costume exhibit which was magical in every sense of the word. Imagine my excitement when I learned that one of my favorite brands, Moschino, was collaborating with the museum. Just in time for the Italian fashion house’s 30th anniversary this year, it has been included in the V&A’s The Glamour of Italian Fashion 1945 – 2014 exhibition. Net-A-Porter has created a 22-piece collection with the brands featured in the exhibition, exclusively sold on the high-fashion retail behemoth’s site. 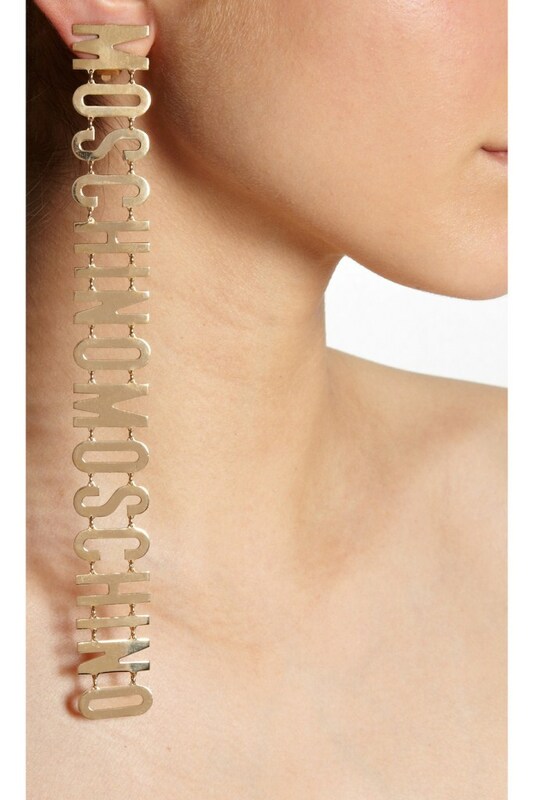 One of the pieces I cannot get enough of from the capsule collection are these long earrings that feature Moschino’s iconic logo in gold-plated brass letters. Moschino + V&A’s Gold Plated Clip Earrings retail for $495. Visit www.net-a-porter.com to purchase and www.moschino.com and www.vam.ac.uk for more information.